(1904-1987) Eloise Wilkin's career covered more than fifty years, involving illustration and writing, free-lance drawing, and doll design. After graduating from The Rochester Institute of Technology, Eloise Burns and her friend Joan Esley moved to New York City where they hoped to have a better chance at careers in illustration. In 1935, Eloise married Sydney Wilkin and soon began a family of four children. She illustrated over 20 books with her sister Esther, who also married a Wilkin. 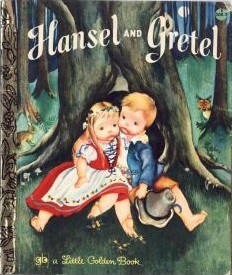 In 1943, she was offered a contract with Simon & Schuster and worked almost exclusively for Little Golden Books until 1961. 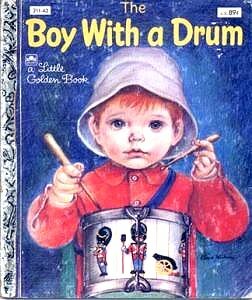 Little Golden Books remain popular with collectors, and Eloise Wilkin heads the list as most popular illustrator. Some, like Prayers for Children, are easy and cheap to find. Others, like Georgie Finds a Grandpa, are in hot demand and the price reflects that. 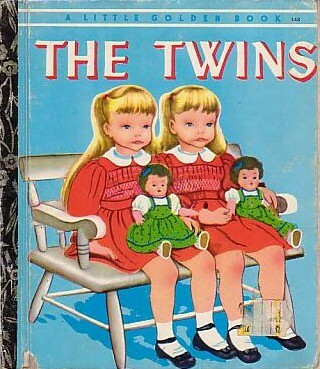 All books written and illustrated by Eloise Wilkin unless otherwise noted. 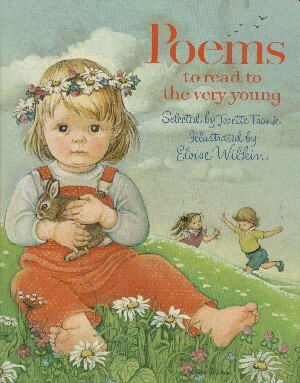 Eloise Wilkin's Book of Poems. by Deborah Wilkin Springett. Western Pub. Co., 1988. 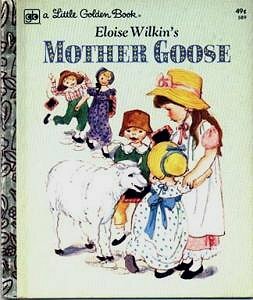 Eloise Wilkin Treasury: Favorite Nursery Rhymes, Prayers, Poems, and Stories. edited by Linda C. Falken. 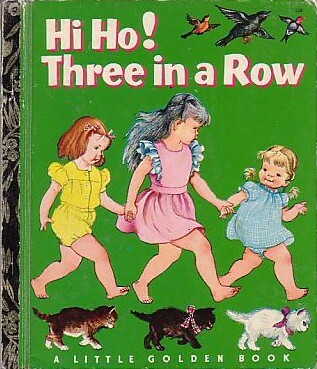 Golden Books, 1985. 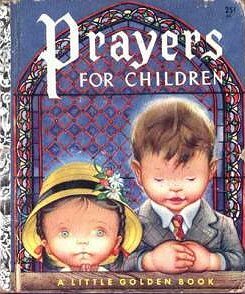 Golden Treasury of Prayers for Boys and Girls. Edited by Esther Wilkin. Golden Press, 1975. Good House for a Mouse. by Irmengarde Eberle. J. Messner, 1940. Great Gold Piece Mystery. by Elizabeth Honness. Oxford University Press, 1944. 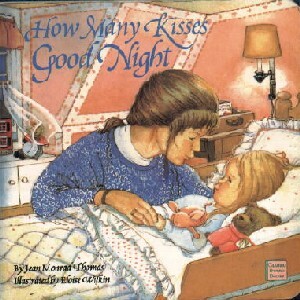 How Many Kisses Good Night. by Jean Monrad. Random House, 1986. I Hear: Sounds In a Child's World. 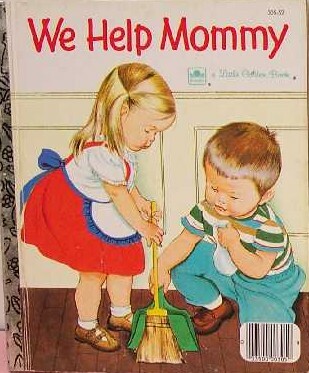 by Lucille Ogle and Tina Thoburn. 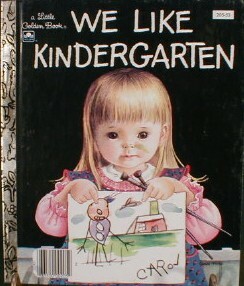 American Heritage Press,1971. Kitty Come Down. by Frances Atchinson Bacon. Oxford University Press, 1944. Ladybug, Ladybug, and Other Nursery Rhymes. Random House, 1979. Little Prayers. Edited by Esther Wilkin. Golden Press, 1980. Lord's Prayer. Commentary by Esther Wilkin. Golden Press, 1961. Mrs. Peregrine and the Yak. by Esther Burns. H. Holt and Company, 1938. Mrs. Peregrine at the Fair. by Esther Burns Wilkin. J. Messner, 1939. My Good Morning Book. Golden Press, 1983. 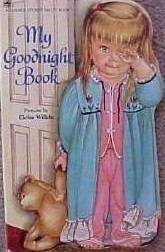 My Goodnight Book. Golden Press, 1981. Nursery Rhymes. Random House, 1979. Once-Upon-a-Time Scratch and Sniff Book: Stories. Adapted by Ruthanna Long. Golden Press, 1978. *Prayers for a Small Child. Random House, 1984. Rainbow for me. by Martha Gwinn Kiser. Random House, 1948. Rock·a·Bye, Baby: Nursery Songs and Cradle Games. Random House, 1981. Seatmates. by Mary K. Reely. Franklin Watts, 1949. Sheep Wagon Family. by Myra Reed Richardson. R.M. McBride, 1941. Song of Praise. 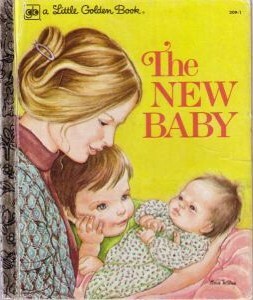 American Heritage Press, 1970. Thank You Book. by Patricia Martin Zens. Golden Press, 1967. Tune is in the Tree. by Maud Hart Lovelace, 1950. Visit, The. by Joan Esley. Rand McNally, 1980. Wonders of the Seasons. by Bertha Morris Parker. Golden Press, 1966.